The Douglas family just wants to live their lives and maybe find a bit of happiness. But when the ghost in their home breaks out of a centuries-long sleep, all hope for happiness will die. When Will I Find A Good Ghost Story? 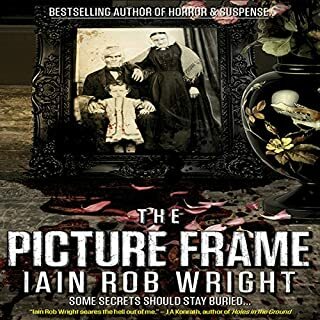 When washed-up priest Angela Murs and skittish ghost hunter Tim Golding are summoned to a vast country manor to help a sick little boy, they have no idea what to expect. While it's clear that young Sammie is a very disturbed child, there's surely no way he could have been behind the recent spate of accidents or the death of his father. The child is dirty, malnourished, and perhaps the victim of a negligent mother, but as Angela and Tim's investigations take them deeper into the mystery, they realize there is much more going on than they ever could have imagined. When the blood begins to flow, there will be no escape, and little Sammie will finally be forced to show his true nature. If you could sum up Sam in three words, what would they be? Sam is a creepy and atmospheric gem that hits on so many horror notes but then does its own thing at the end. I am still contemplating the end and may listen to it again with that in mind. Loved the book. if you like supernatural book, like the Exorcist, you'll like this book.. to me the ending makes the book. hate a good book with a standard or boring ending. love it when a book ends with a twist or a suprise. Liked how this book ended. Where does Sam rank among all the audiobooks you’ve listened to so far? There are two things that I should mention. As far as the story goes. It was jut okay. Wasn't terrible, but it's really been done to death. The added bit of a shadowy corporation was nice, and motivations of external persons was nice, but really, it felt just like any other exorcist story. The ending was foreshadowed a mile away. While some people may find the reveal to be gasp-worthy, and the ending was a good one, it was set up long ago in the story. Nigel took a mediocre story and turned it into something to really sink your teeth into it. He creates tension and gives the characters that bit of emotion in the sub-text that people may miss just reading it. Really enjoyed Nigel Patterson's work, and look forward to listening to more of his work. This book was creepy! Still it had its moments especially one in particular that had my laughing so very much. The characters are well written and narrated. Could not stop listening! What a creepy little boy. Sam has some wonderful characters in it. Angela - the lesbian ex-priest, Tim - the paranormal investigator who may just be out to make a buck, Jessica - the devoted widow and mother, who just happens to be filthy rich, and Sam - the very creepy, possessed little boy who's favorite show seems to be South Park. 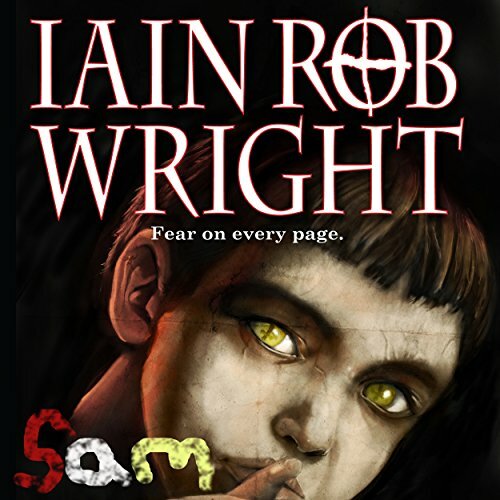 There is plenty of suspense, and some of Sam's actions are cringe worthy, but Iain Rob Wright also writes in some dark humor to lighten it up a bit. Makes for a book you just can't stop listening to. Nigel Patterson does a wonderful job as well. I have loved his narration in other books, and he definitely doesn't disappoint with this one. There are plenty of different voices to do in Sam, and Nigel really adds to the creepiness factor. What made the experience of listening to Sam the most enjoyable? Mr. Patterson is fantastic. 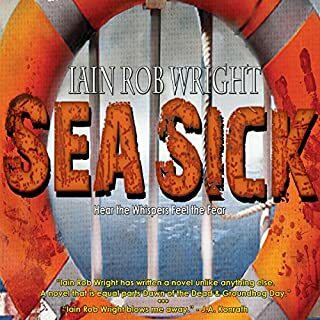 His voice and inflection paired perfectly with this horrific story from Iain Rob Wright. I really do mean that this was a exceptional reading. What was one of the most memorable moments of Sam? The climactic conflict was the best. Though some of my more arcane knowledge made it a bit predictable, it was still expertly handled, and still quite thrilling. Possession is 9/10s of the law? A well written story well read. I fully enjoyed every aspect of this book, now I wish there was a sequel. My favorite character was the narrator to be honest. Nigel made the story very interesting for me. I don't do a lot of horror, so the narrator brought me into the story. First off all, the main draw to this story for me was the narration. 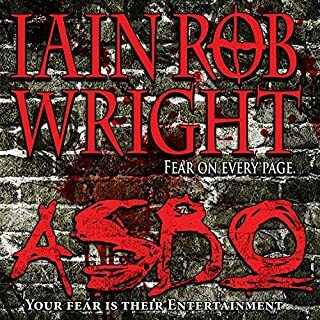 I don't know how much I would have enjoyed the story if I had read it, but the splendid English accent that the narrator gave to the story made it very enjoyable. The only place he did not excel was in his female voices, but even those were not so bad that they detracted from me enjoying the story. The story itself held my interest throughout. It kept up a good pace for a horror/fantasy/thriller. The author allowed me to learn enough about all the flawed characters to make their reactions to the situation believable. I still haven't decided if I liked the ending or not yet. I got this book as a review audio copy for audible. Horror Fans Need This Book! The combination of the story and the narration made this book enjoyable and one I won't soon forget. I couldn't help but love Sammy because of what he was going through, and of course, I really liked Angela. Although she starts off a little rough, Angela finds her strength by the end of 'Sam.' Her character development, as written by the author, was brilliant. Which character – as performed by Nigel Patterson – was your favorite? 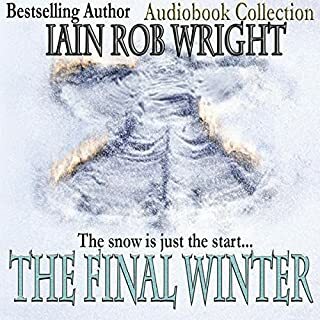 I've listened to quite a few audio books over the last year or so and Nigel quickly became one of my favorite narrators. At the beginning of 'Sam,' it bothered me that he didn't put more effort into giving each character a unique voice. By the end, as he had to perform the voices for the possessed characters, my opinion had completely changed. His performance was terrifying and completely believable. Nigel is also very good at relaying the emotions each character feels throughout the story, and made it seem so effortless, that it was easy to forget he was reading. It felt more like a good friend sitting with me, telling a story.So, to answer the question, any character speaking as if he/she were possessed were my favorites. could have been a good book, but the way its written, the characters, and dialog are lame. I'm returning this book. What other book might you compare Sam to, and why? The Exorcist by William Peter Blatty.Sam has stronger characters and scared me more than the Exorcist. 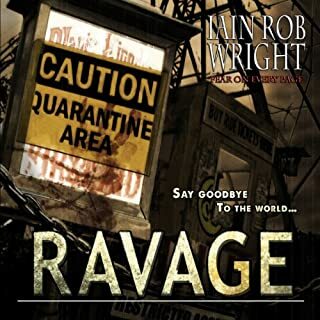 I have many book narrated by Nigel Patterson up this is my favorite by far. When Sam's mum is killed. 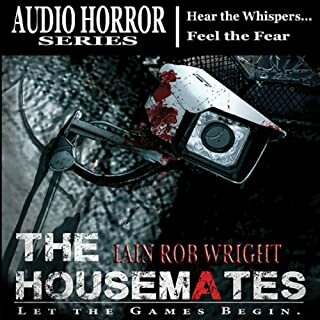 If you love horror and you love audio this is a must for you. Gave me the creeps - just the thought something SO malevolent could be part of a ten year old child's 'makeup' - UGH! Truly spine-chilling! Reminds me if both The Omen and Exorcist combined but in some unsettling way, yet 'better'! One of the most poorly written books I have had the displeasure of reading. Awful dialogue, no cliché left out, weak plot. Average nothing special I expected better but that was my mistake please don’t think it’s another omen it is not. I really enjoyed this book. One of the few that could freak me out and keep me guessing throughout without being cliché. Loved it every chapter every page kept you guessing. brilliant, this is a must not just for horror fans.